A beautiful yearling sold today at Keeneland, a filly by Indian Charlie out of the amazing mare Take Charge Lady. Mandy Pope won her with a final bid of $2.2 million. If that name seems familiar, it’s probably because she purchased 2011 Horse of the Year Havre de Grace last year for a whopping $10 million at the Fasig-Tipton November sale. 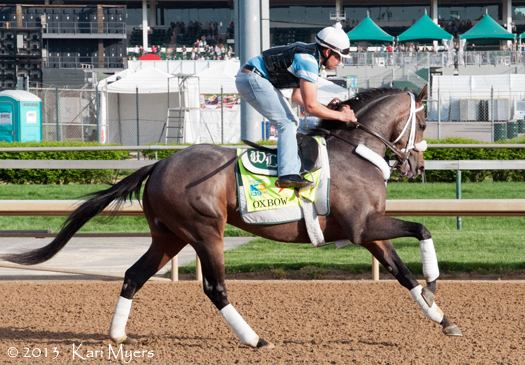 Pope then paid $4.2 million for Kentucky Oaks winner Plum Pretty a day or two later. She’s certainly collecting a stellar group of fillies and mares. 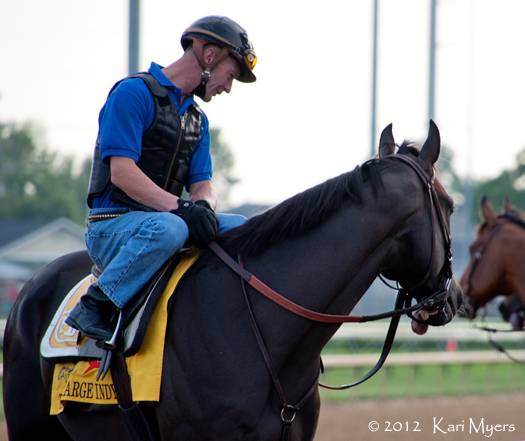 Take Charge Lady won multiple Grade 1, 2, and 3 races during her career on the track and earned over $2.4 million as a race horse. As a broodmare she has produced several foals, including Grade 1 winners Take Charge Indy (’12 Florida Derby) and Will Take Charge (’13 Travers Stakes). 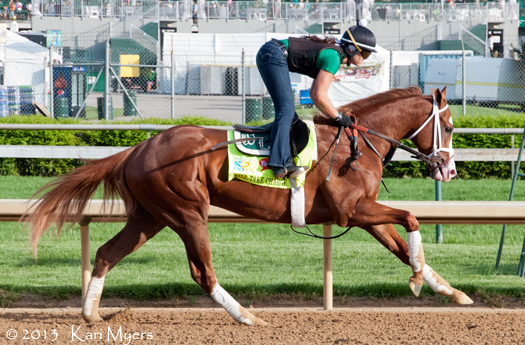 Both of those colts participated in the Kentucky Derby, and Will Take Charge went on to participate in the Preakness and Belmont as well. It’ll be fun to see how their little sister fares at the track! She should head into training next year if all goes well. 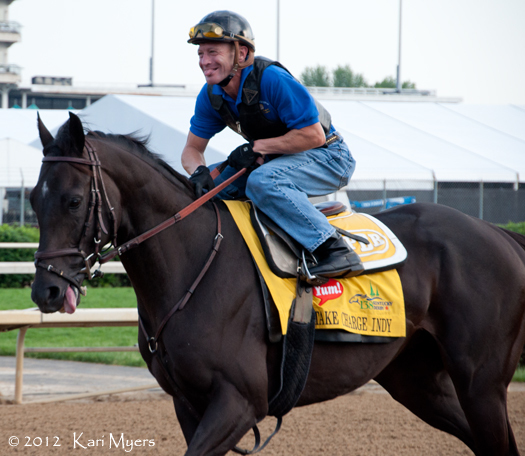 May 3, 2012: Calvin Borel and Take Charge Indy at Churchill Downs. 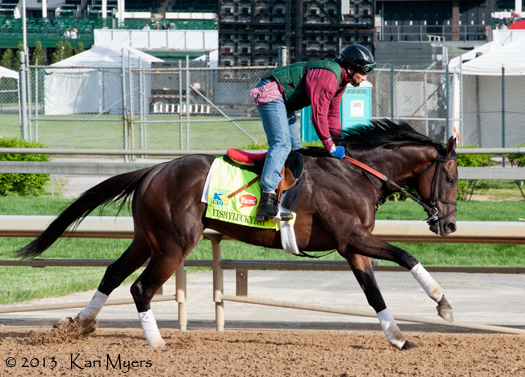 May 3, 2012: Calvin Borel and Take Charge Indy head out for a gallop at Churchill Downs. Check out their matching tongues. 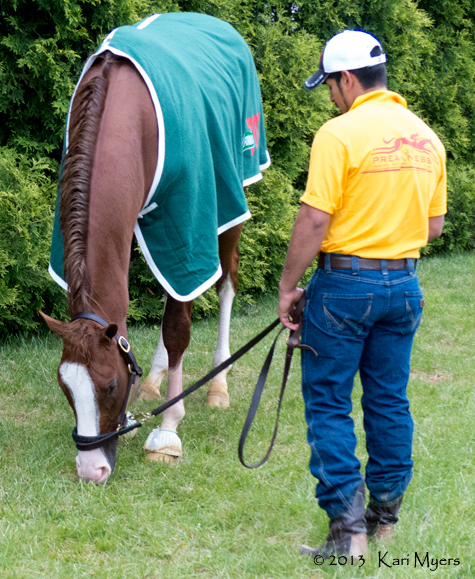 May 18, 2013: Will Take Charge chows down on the grass behind the stakes barn at Pimlico after the Preakness.